Rebranding a leading nonprofit with award-winning results. 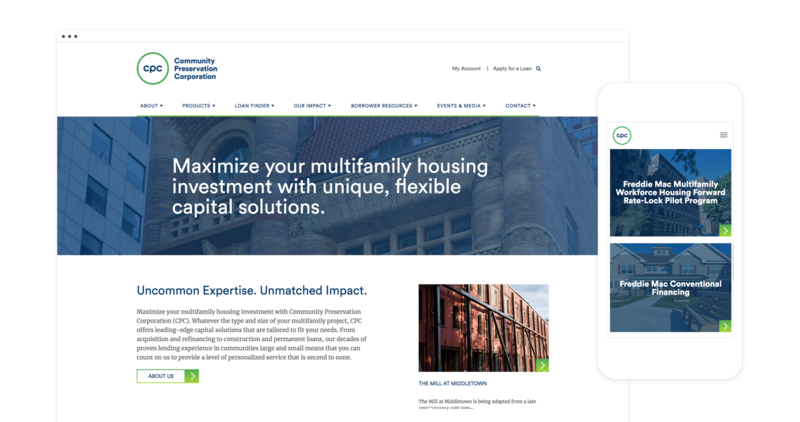 In 2014, the Community Preservation Corporation (CPC) emerged from a restructuring with a renewed sense of purpose — and a desire to overhaul their brand to reflect their revitalized mission. 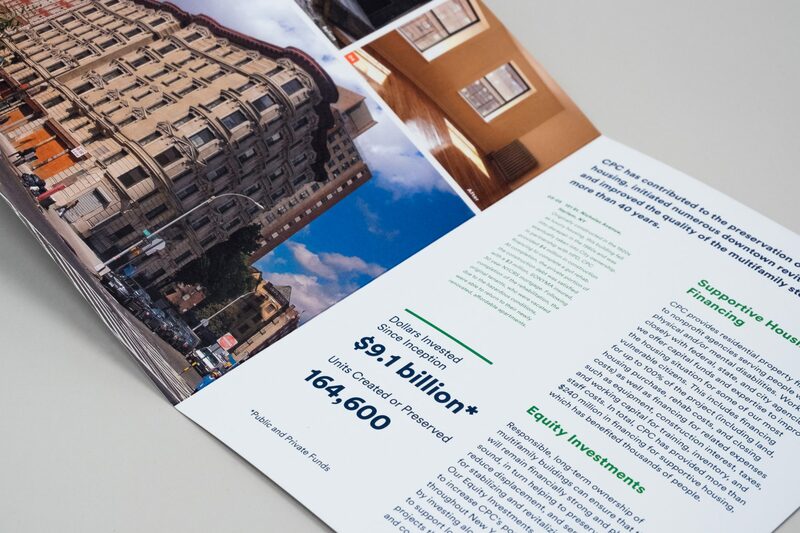 As the organization prepared to step into their “second act” and support New York’s most underserved neighborhoods with affordable housing, leadership realized CPC needed more than a new visual identity. The organization needed a relevant, differentiated messaging platform to combat growing competition from commercial banks and other lenders. CPC turned to Suka to help create a new, fully realized brand that would be both purposeful and engaging. Suka began by interviewing leadership, board members, borrowers, partners, and field office teams. Parallel to the interviews, we reviewed peer organizations and competitors to better understand the affordable housing and lending landscape and to seek points of differentiation that could distinguish the brand. Our initial discovery uncovered the passion the CPC team brought to their work as well as the impact of the organization on lives and communities across New York State. We aligned on three words — Unified, Collaborative, Compassionate — to capture the essence of the organization and guide every aspect of our work: developing a new mission statement, repositioning the organization, reformulating the value proposition, writing a tagline, and designing visual elements and collateral. We used a rounded typeface and a circle motif to communicate CPC’s humanity, dedication, and relationship-oriented mission. 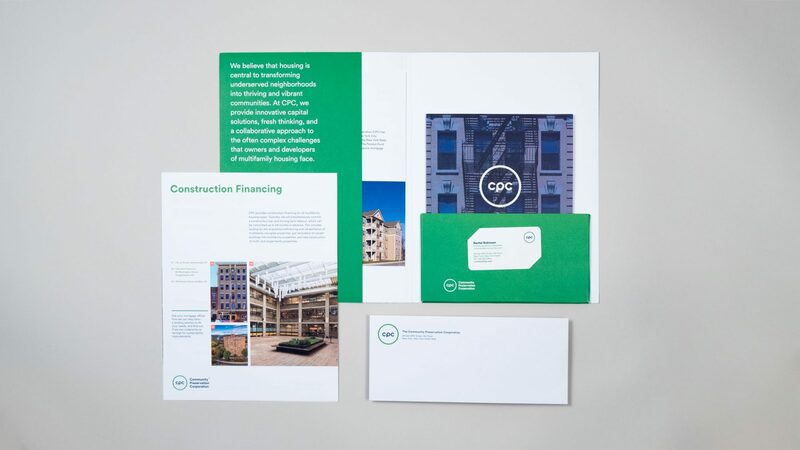 We revitalized the organization’s color palette to express CPC’s renewed sense of vision, selecting bolder and more vibrant hues to imbue the new brand with an energy and modernity. We also created photography guidelines that would bring authenticity to all communications. Suka implemented the new brand identity in the design and development of a new website, business papers, a full suite of marketing materials, an annual report, and environmental signage. 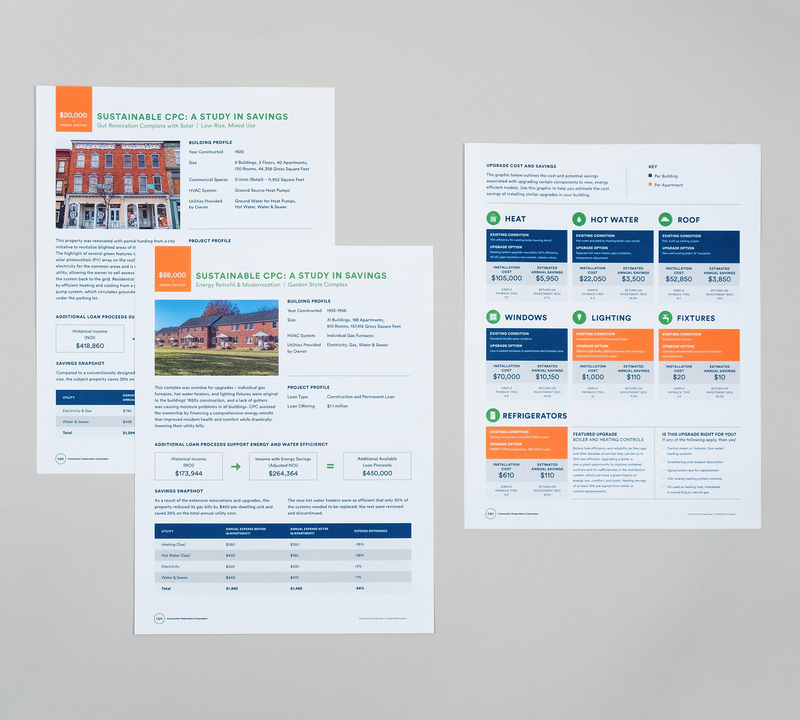 We also provided CPC with a full brand style guide and key messaging tool kit, which empowered the organization to manage their brand and create materials themselves. A year after Suka rebranded CPC, the nonprofit increased their lending capacity and strengthened their partnership with agencies and institutions in both the public and private sectors. 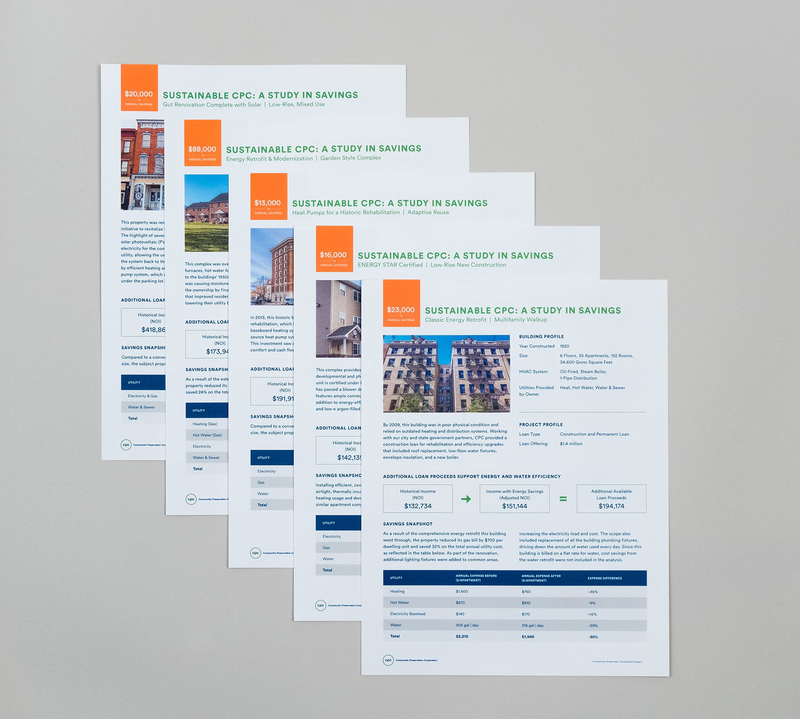 We continue to support CPC’s marketing and communication efforts, developing both print and digital annual reports and additional solicitation materials. Suka’s work on the CPC website was awarded the Non-profit Standard of Excellence Award in 2017 by the Web Marketing Association.